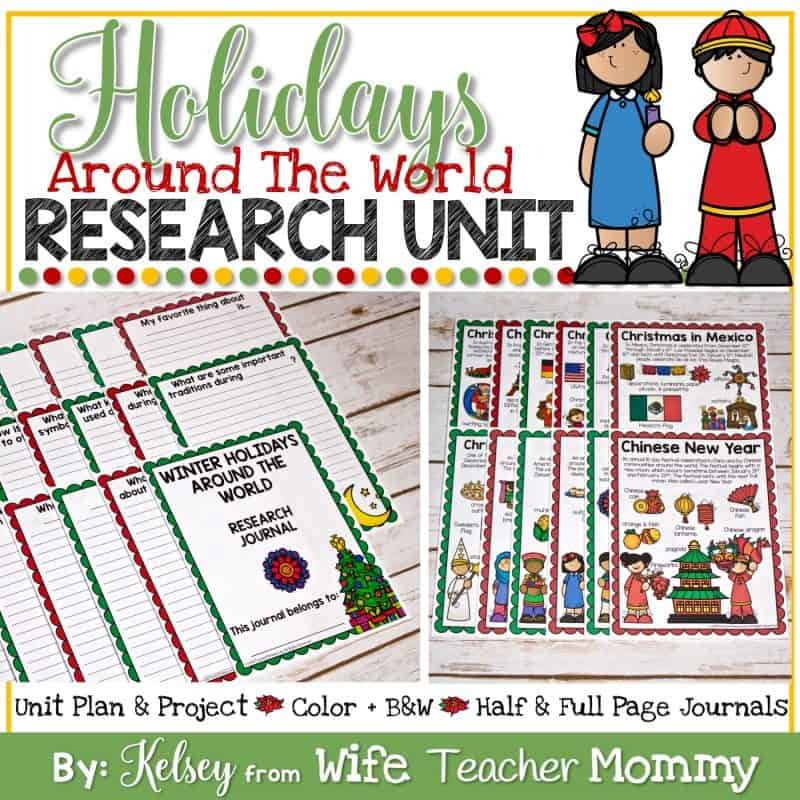 Your students will LOVE learning about winter holidays around the world with this fun and engaging research unit. 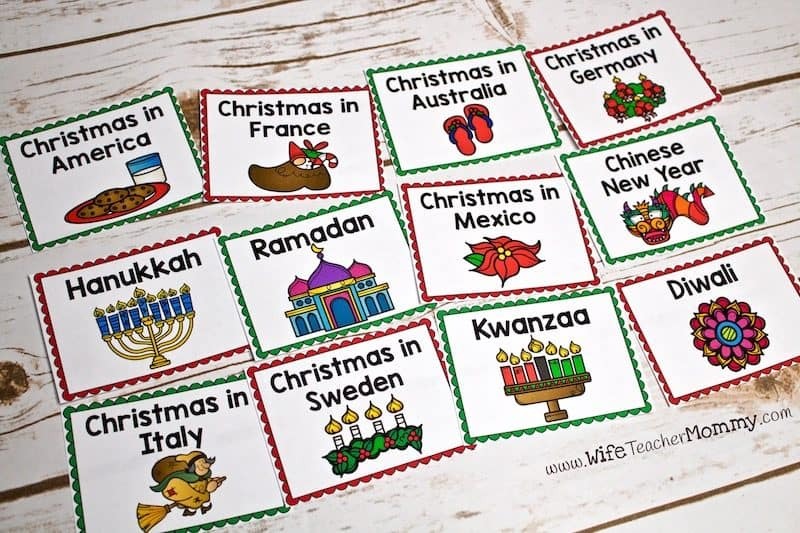 This holiday includes BOTH Christmas around the world and other winter holidays around the world, for a well rounded unit. 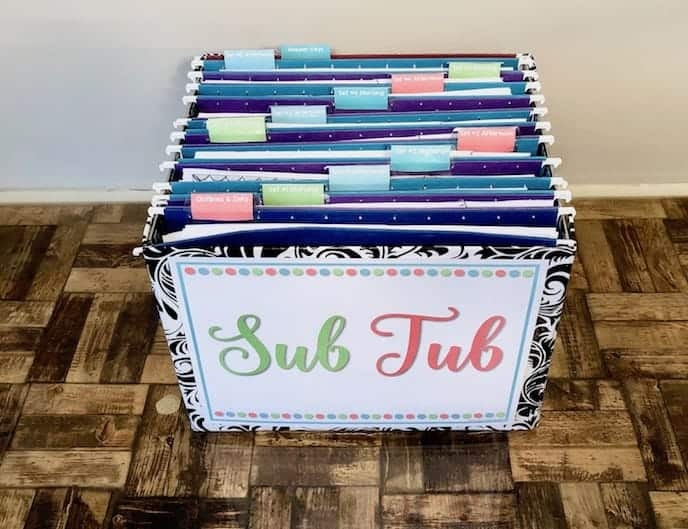 The resource includes everything you need for a successful unit. Your students will each be assigned a winter holiday to research. You can decide whether they work individually or in small groups. Students will learn how to do internet research to find out more about their assigned holiday. 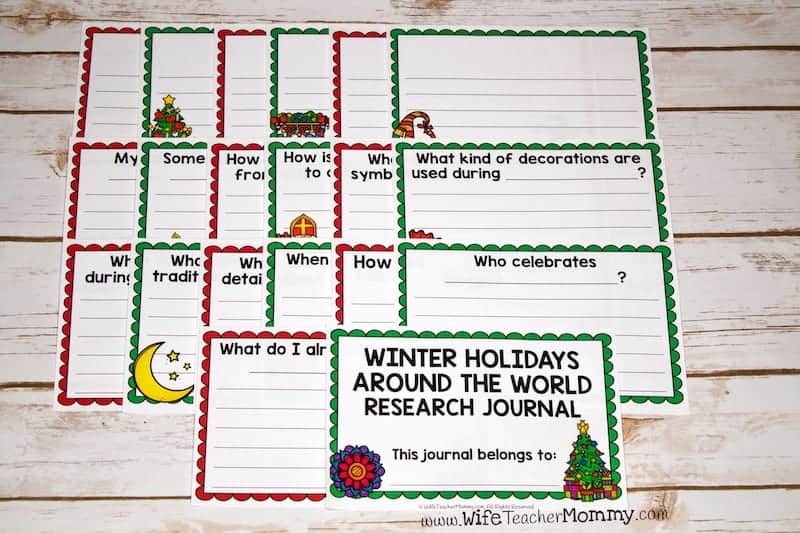 They will answer the questions in their Winter Holidays Research Journal to learn all about it. Then, they will do a final report about their holiday and art project (creating a decoration for their holiday). An editable invitation for an optional “Holidays Around The World Fair” is included for students to show off their hard work to their parents, other classes, etc. 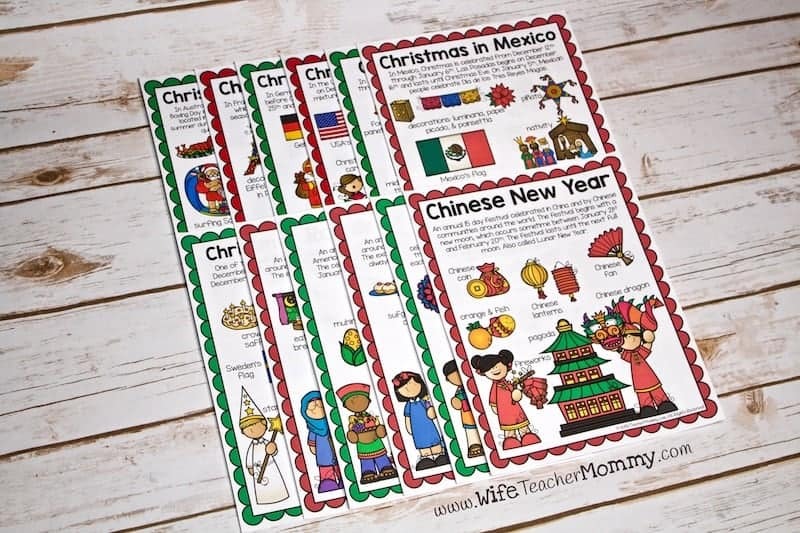 Holiday cards: You may use these to randomly assign the students to their winter holiday. 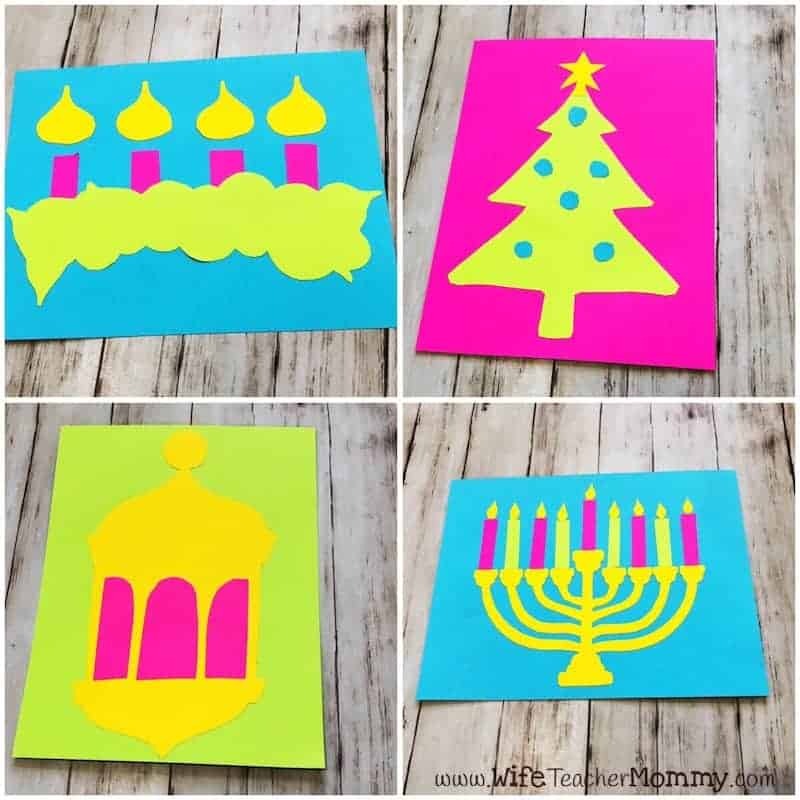 There are cards for the holidays listed above, plus four more to add your own. Research Journals: The research journals will guide the students throughout their research. There is one question on each page for the students to find the answer to. 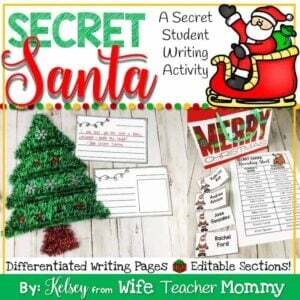 13 pre-written pages are included, plus 6 blank pages to add your own questions. Full page and half page versions are BOTH included in this resource. Choose which version is best for your students. 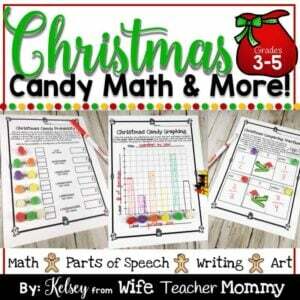 Parent Letter & Holiday Fair Invitation: Keep the parents in the loop! Let them know what is going on with the holiday unit, and invite them to the Holidays around the World fair, if you decide to do one. Holiday Info Pages: For each included a holiday, a page with a brief summary and images that represent the holiday are included. You may choose to hand these out to give your students a good starting point for their research. List of Websites: If you’d like to give the students the sources, a list of sources is included. 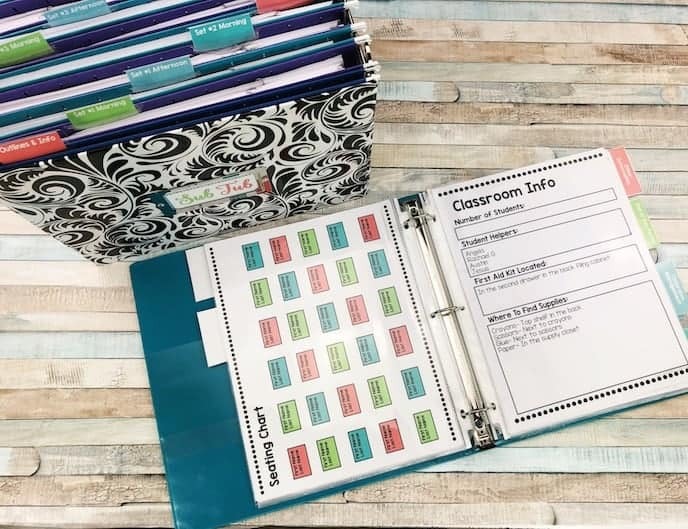 You can also use these to assist your students if they get stuck. Final Report Pages: A final report page is included- a version with clip art to go with each holiday.